1) NAME: This Corporation shall be known as the Maroons Soccer Club, Inc. (hereinafter referred to “Club”), located in the Village of Ridgewood, County of Bergen, State of New Jersey. An Alternate Name Certificate has been filed with the New Jersey Secretary of State authorizing the use of “Maroons Soccer Club” as an alternate name. 2) PURPOSE: The purpose of the Club shall be to develop youth soccer players and promote the game of soccer in such a manner that capable players can better their skills by playing on teams in a competitive environment. The Club’s goal is to offer a program that focuses on team and individual development to compete with other club teams of equal caliber in an environment that fosters good sportsmanship and fair play. The Club shall conduct business with the spirit of soccer in mind and for the benefit of the players on the Club teams. The Board of Trustees shall adopt a Mission Statement for operation of the Club consistent with this purpose. Once adopted, such Mission Statement shall be reviewed every 3 years, or more frequently as necessary. 3) AFFILIATION: It is the intent of the Club to have all of its teams compete on a Club basis in the Northern Counties Soccer Association and/or any league that can provide an appropriate competitive environment, as determined by the Board of Trustees. 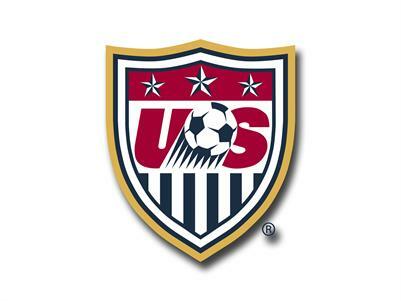 In addition, it is intended that the Club be affiliated with the US Club Soccer, USYSA and the United States Soccer Federation (USSF). The Club will at all times conduct business on a non-profit basis and maintain its status as a qualified Internal Revenue Code Section 501(c)(3) tax exempt organization. 4) MEMBERSHIP: Each of the following shall be a member of the Club: Trustees, Coaches, Players and the Parents or Legal Guardians of Players. Membership is subject to the payment of all dues assessed by the Club for Player participation (unless waived for financial need reasons) and adherence to all rules and regulations of the Club as set forth in these By-laws, the Club’s Mission Statement or otherwise. a) NUMBER AND QUALIFICATIONS: The affairs of the Club shall be governed by a Board of Trustees consisting of fifteen (15) to twenty-one (21) members. At least half of the Trustees must be a Coach of a registered, or about to be registered, team. In addition to these Trustees, the immediate Past President may serve as an additional voting member of the Board of Trustees, for a minimum of one year after stepping down, and shall be included in the twenty-one (21) maximum number of Trustees. In addition, Roger Campbell shall be a Trustee (“Special Trustee”) for life but shall not be a voting member or be counted for quorum purposes or for purposes of the twenty-one (21) person maximum. In the event that the number of Trustees drops below 15, the Board and Club shall continue to operate as normal while new Trustees are recruited. b) POWERS AND DUTIES: The Club, through its Board of Trustees, shall have all the powers and duties necessary for administration of the affairs of the Club and may perform such acts and things necessary in connection with such administration. Such power and duties shall include, but not be limited to, review of acts of Officers, Trustees, Coaches, assistant coaches and parents, establishing annual dues and approving budgets, approving league and tournament registration, approving team rosters and designating Coaches and assistant coaches. The Trustees shall conduct business as required to comply with all appropriate league rules and regulations as well as those of the organizations with which the Club is affiliated and to make administrative decisions and policies and procedures necessary to govern the Club consistent with these By-Laws. c) TERM OF OFFICE: The term of office of a Trustee shall be three (3) years, commencing on September 1 and ending on August 31, except that such term shall not expire until such Trustee’s successor is elected and shall qualify. In order for the Trustees to hold terms with staggered ending dates over a three year period, the Board of Trustees shall have one-third (1/3) of its Trustees elected in each year. d) NOMINATION: Nominations for election as a Trustee shall be made by a Nominating Committee. The Nominating Committee shall consist of a Chair, who shall be a member of the Board of Trustees, and three (3) Coaches of the Club, only one of whom shall also be a current Trustee. The Nominating Committee shall be appointed by the Board of Trustees at least thirty (30) days prior to the Annual Coaches Meeting and should attempt to be reflective of the diversity of age groups and genders of the teams in the Club. The Nominating Committee shall remain in place during the year and from time to time will assist the Board in filling vacancies. Any Coach or Trustee may nominate a prospective Trustee. All such nominations must be submitted to the Nominating Committee at least fifteen (15) days prior to the Annual Coaches Meeting. Nominations shall be in accordance with the required qualifications set forth in these By-Laws. The Nominating Committee will vote on all prospective nominations and based upon a favorable majority vote shall submit its nominations at least ten (10) days prior to the Annual Coaches Meeting. More than one person may be nominated for a position. Nominations from the floor with seconds will not be accepted at the Annual Coaches Meeting. Nomination to succeed oneself is permitted. Nomination of a nominating committee member is permitted. e) ELECTION: There shall be no voting for Trustees by Coaches by proxy. A quorum is necessary to conduct a vote; a majority of the quorum constitutes election. Each currently playing team’s head Coach (or assistant Coach or other representative present at the meeting in the absence of the head Coach) shall cast one whole vote for each position. There shall be no fractionalized voting or cumulative voting. A coach, assistant coach or team representative may represent more than one team. Election to successive terms is permissible. f) REMOVAL OF TRUSTEES: At any Trustees Meeting, any one or more members of the Board of Trustees may be removed only with cause by vote of 2/3 of the remaining Board (as fully constituted). Cause shall include, but not be limited to, failure to attend 3 consecutive Meetings or 4 of any 6 consecutive Meetings in any one Seasonal Year; Meetings includes all types of Trustee, Coaches and Membership Meetings. g) VACANCIES: All vacancies on the Board shall be filled by majority vote of the Trustees. h) A minimum of nine (9) BOT must be present for a quorum. Two-thirds of the teams playing in the current Seasonal Year represent a quorum for election of Trustees. i) COMPENSATION: No member of the Board of Trustees shall receive compensation from the Club for acting as Trustee or as an Officer. j) LIABILITY OF TRUSTEES: The Trustees shall not be liable to the members for any mistake of judgment, negligence or otherwise. The Club shall indemnify and hold harmless the Trustees and Officers for any claim, suit, action or lawsuit, whether civil, criminal, administrative or investigative brought or threatened against such person by reason of action or inaction in said capacity. k) VOTING: Actions permitted by the Trustees at a duly convened meeting may be taken through any other means including, but not limited to, telephone calls, electronic communication or other medium, at the discretion of the President, provided that all the Trustees are advised of the proposed action, and a quorum, as defined by these by-laws, participates in the vote on the matter. In any such process, the President shall notify the entire Board of the proposal, shall declare it open for discussion with a minimum of 24 hours and shall declare when a vote shall be taken. Specifically as an exception: the criteria for allowing email votes is “NO” for major club changes and by-law changes, and “YES” for changes/additions for coaches and rosters and other actions that are not major club changes or by-law changes. a) DESIGNATION: The principal Officers of the Club shall be President, one or more Vice- Presidents, Secretary and Treasurer. All Officers must be members of the Board of Trustees. b) ELECTION OF OFFICERS: The Officers of the Club shall be elected annually at the first Board of Trustees meeting immediately following the Annual Coaches Meeting to take place in September. The term of office of an Officer is one year, commencing on September 1 and ending on August 31, except that the term shall not expire until the officer’s successor is elected and shall qualify. The slate of officers that is produced for vote will be nominated from the floor with seconds. The majority vote of a quorum will be required to confirm election of each Officer. c) REMOVAL OF OFFICERS: Upon removal of a person as a member of the Board of Trustees, such person shall automatically be removed as an Officer. The Board shall elect the person to fill such Officer position. d) PRESIDENT: The President shall oversee all activities of the Club and shall be Chair of the Board of Trustees. The President is also the general representative of the Club. e) VICE-PRESIDENT: One of the Vice-Presidents shall be identified by the President to become acting President whenever the situation may require. f) SECRETARY: The Secretary shall maintain minutes of Club Meetings as required and keep records of any important papers, policies, correspondence, etc. Such duties may be assigned by the Board to the Administrative Assistant. All By-law changes must be recorded and published in minutes. g) TREASURER: The Treasurer shall maintain appropriate bank accounts in the name of the Club and shall manage all monies of the Club. Receipts and/or written explanations of all expenditures shall be maintained for control and use for audits when conducted at the initiation of the Board. The Treasurer, President and such other person(s) approved by the Board shall be authorized to sign checks on behalf of the Club. All expenditures over five thousand dollars ($5,000.00) shall require approval of a simple majority of the Board of Trustees and checks over one thousand five hundred dollars ($1500) shall require two authorized signatures. Any expenditure that is made in accordance with a Board-approved budget provision shall be permitted without subsequent approval. The Treasurer shall provide periodic reports of all disbursements, receipts, balances and other financial information to the Board of Trustees. The Treasurer shall also submit a budget annually in June of each year, which must be approved by the Board; the Treasurer shall provide in the budget for an adequate reserve for operation of the Club. Any board member may also request read only access to our books at any time. h) REGISTRAR: One or more Trustees shall be designated as Registrars, who shall be familiar with the Northern Counties Soccer Association (and any other league in which a Club team participates) and US Club Soccer player and coach registration procedures, assist Club Coaches with the league registration process and maintain all records pertaining to player registration. The Registrar shall be responsible for acquiring and disseminating information on the US Club Soccer State Cup Tournament Registration. i) TRUSTEES NOT OFFICERS: Each other Trustee shall be responsible for activities and projects on an ad-hoc basis, as determined by the President including publicity, league representation, uniforms, equipment, non-uniform merchandise, available tournaments, Club sponsored tournaments, clinics, trainers, Coaches’ licensing and selection, fields, gyms, tryouts, and such other categories as determined by the Board. j) ELIGIBILITY FOR OFFICER POSITION: To be eligible for President, a nominee must be a current member of the Board of Trustees and a Coach or assistant Coach of a Club team for one or more year and shall be current in all dues and/or fines. To be eligible for any other office, a nominee must be a member of the Board of Trustees and shall be current in all dues and/or fines. k) ADDITIONAL ASSISTANCE: The Board may designate non-Trustees to be responsible for such activities as it determines, including as Division Manager or for an activity listed in 6(i) above. l) ADMINISTRATIVE ASSISTANTS: The Board may hire such personnel as it deems necessary to the operation of the Club. Fees to be paid to such personnel shall be determined by the Officers. Only Trustees, or others with the concurrence of the Trustees, may direct work to be performed by such personnel. No person receiving payment for such work (this does not include paid coaches) may serve as a Trustee. 7) COACHES: Prior to each Seasonal Year, the Director of Coaching will recommend, and the Board will approve Coaches and assistant Coaches for all Club teams. The Coaches and assistant Coaches shall be selected and serve at the discretion of the Board of Trustees for each Seasonal Year. No Coach or assistant Coach may be added without the specific approval of the Board of Trustees. Coaches will be selected on the basis of their knowledge of the game, their ability to teach skills and team concepts, their rapport with players and parents, alignment with the Club’s expectations, and their administrative and organizational skills. Every U8-U10 coach must hold a NSCAA level II (or USSF equivalent), every U11-U12 coach must hold a NSCAA level IV (or equivalent) and every U13-U19 coach must hold a NSCAA level VI (or equivalent). The Board of Trustees and/or the Director of Coaching must approve any exceptions to this rule. Coaches are encouraged to attend additional clinics and seminars to improve coaching. Every Coach and every assistant Coach are required to attend a Safety Orientation and Skills Training Program, as required to qualify for a position as Coach, immunity from liability under applicable State law as well as any other course or function mandated by the Board or required to satisfy any policy adopted by the Board. If the Coach and the assistant Coach of a team or a suitable replacement are unable to attend a game, they must notify the Director of Coaching at least 48 hours before the game is scheduled to begin. The Director of Coaching shall appoint a qualified substitute so that the game is not forfeited. A Coach cannot permit a non-Coach parent to assume the coaching responsibilities. Occasionally, at the discretion of the President and/or the Director of Coaching, for various reasons, coaches will be asked to remove themselves from a coaching roster or to stop coaching. These coaches will be offered the opportunity to voluntarily step down. If a coach refuses, the coach will be entitled to one meeting with the Board. At least 9 Board members must attend this meeting and subsequently vote; majority vote required. If the Board votes to remove the coach, that coach must step off the roster in question or hand in his or her coaching card. a) TRUSTEE MEETINGS: Trustee Meetings shall be called periodically by the President, but may be held at the request of any Trustee. Meetings of the Trustees shall be presided over by the President, or in his or her absence, by a chairman chosen at the Meeting. The Secretary shall act as secretary of the meeting, but in his or her absence, the chairman of the Meeting may appoint a person to act as secretary of the Meeting. There shall be a minimum of four Trustee Meetings per Seasonal Year. Trustee Meetings will usually be held prior to the Coaches Meeting and at such other times as deemed necessary by the President or the Board. All meetings will be conducted on an informal basis in accordance with these by-laws, but if necessary in the opinion of the presiding officer, the meetings will be conducted by Robert’s Rules of Order. Trustees may participate in meetings in person or by means of conference telephone or other communications equipment by means of which all persons participating in the meeting can hear each other, and participation in a meeting pursuant to this by-law shall constitute presence in person at such meeting. b) COACHES MEETINGS: The Annual Coaches Meeting for election of Trustees will be held every September. Additional Coaches Meeting will be held at least one time per year. At least one Coach or other representative per team must attend. Meetings of the Coaches shall be presided over by the President, or in his or her absence, by a chairman chosen at the Meeting. c) MEMBERS MEETING: There may be one General Membership Meeting per Seasonal Year, at the discretion of the Board, at which time members are invited to meet the Trustees and Coaches and provide their viewpoint about the Club. 9) TEAM COMPOSITION: The Board of Trustees shall determine, prior to each Seasonal Year, the number of teams the Club will register for league competition. Each team shall consist of no fewer than 16 players and no more than 18 players, except that small-sided teams shall consist of no fewer than 12 and no more than 14 players and full-sided U-15 to U19 teams may have a maximum of 24 players. A roster of less than the minimum or more than the maximum shall require specific approval of the Board of Trustees. All rosters shall also comply with the Rules of NCSA or other league in which the team plays. It is the goal of the Club to field boys and girls teams each Seasonal Year in each age group of the league in which the Club primarily participates through U-14, with all older players playing on an appropriately aged available team. “Playing Up” beyond one’s age group will be permitted with Board Approval. In such cases, approval must be obtained prior to a player attending a tryout. One premier and one or two additional teams (up to three in small sided) are intended each year, unless the Board approves otherwise. After U-14, all players may try out and play on an appropriately aged available team. Notwithstanding these goals, it is recognized that there may be situations where an exception is appropriate and the Board of Trustees shall be empowered to grant such an exception. In all cases, teams are formed provided there are a sufficient number of qualified and interested players committed to the schedule of the Club program. During every Seasonal Year, at least 75% of the players registered to Club teams shall reside in the Village of Ridgewood (or qualify as if a Ridgewood resident in accordance with Village Parks and Recreation Department rules). Every team is expected to have at least 75% of its players be residents of the Village of Ridgewood. If a team submits a roster composed of players more than 25% of whom do not reside in the Village of Ridgewood, the Coach of said team must explain why such situation exists to the satisfaction of the Board of Trustees before the Registrar will register the team. 10) TEAM SELECTION: Players for Club teams will be selected annually on the basis of a competitive tryout process. The tryout dates and times shall be arranged by the Board of Trustees or the responsible Trustee. Multiple tryouts may be held if time permits and adequate field or gym space is available. Tryouts shall be considered Open. The Board of Trustees, directly or through the Trustee responsible for tryouts, shall designate a representative(s) to assist in the evaluation of players for each team. Upon completion of tryouts, the Coaches and the representative shall try to reach a consensus on the players to be selected to the one or more teams in that age group. Final approval of all rosters must be made by the Board of Trustees. Tryout Coordinators are required to submit the team roster to the Board of Trustees for approval prior to notifying players of selection or rejection. No candidate shall be denied the opportunity to participate based on his race, color or religion or any other reasons prohibited by law. 11) REGISTRATION: Each Coach shall submit rosters, registration fees and any other material required for Club internal registration to the designated person by the deadline established annually and shall submit team and player registration to the Club Registrar no later than 5 days prior to any registration due date. 12) SEASONAL YEAR: The Seasonal Year shall commence on September 1 and end on August 31. 13) FISCAL YEAR: The Fiscal Year shall commence on July 1 and end on June 30. ANNUAL REGISTRATION FEES: Each player registered to a Club team shall be required to pay annual fees to the Club, unless the Board of Trustees or a committee thereof approve a waiver. Registration fees shall be determined each year by the Board of Trustees and are intended to cover the cost of registration, insurance, equipment, referees, some training, State Cup Tournament entry fees tournament fees as determined by the Board of Trustees, and other items determined by the Board of Trustees. Additional funds required for Club operation shall be generated by fund raising activities and/or additional player assessments, as well as other club-related activities deemed appropriate by the Board of Trustees. All fees and assessments shall be used exclusively for the purpose of the Club and shall not inure to the benefit of any member. 15) TEAM ASSESSMENTS: Each team will assess its players additional fees to cover additional tournaments, additional training, paid Coaches, etc as determined by such team or the Club. 16) AUDITS: Regular operating statements and an annual budget sheet shall be prepared and maintained by the Treasurer. The Board or Treasurer shall appoint an auditor to perform an audit of the financial records to meet any statutory requirements and, if deemed necessary by the Treasurer to prepare tax returns. 17) FINES: The actions of a player, Coach, assistant Coach or spectator may result in disciplinary actions and fines being levied against the Club by the league. The Club is obligated by league rules to pay such fines. All Coaches must reconcile with the Club for such fine. Failure to do so will result in the termination of his or her coaching position. A Coach shall, however, be given an opportunity to present an account of the actions leading up to the fine and the Board of Trustees may waive reimbursement if they feel such waiver is appropriate. 18) TOURNAMENTS: All teams are encourages to compete in one Columbus Day Weekend tournament selected by the Board, except as otherwise directed by the Board. It is expected that each premier Club team will compete in the US Club Soccer State Tournament at such ages as it is offered; other teams may do so only with Board approval. Teams are encouraged to compete in other US Club and USSF sanctioned tournaments, the cost of which is borne by the team. The Club shall pay for entry to the Maroons Father’s Day tournament for U8-U12 teams and for 1 large sided tournament for our U13 and U14 teams. 19) INSURANCE: All Club teams through their team registration with the league have in effect a US Club Soccer approved medical insurance program covering its players for the Seasonal Year. No player shall compete in any game, scrimmage or practice session who is not covered by such program. The Club may procure insurance coverage for members, Trustees, Coaches and/or assistant Coach if determined by the Board of Trustees in its sole discretion covering them against personal liability for performing acts and duties related to Club activities. 20) COMMITTEES: The Board of Trustees may appoint such Committees as it deems desirable and consist of at least one Trustee as its Chair, and at least one other members. 21) ACCIDENTS: Each team will be supplied by the Club with a first aid kit or reimbursed annually for one within the limits established by the Board. Any accident or injury suffered by any player must be reported by the Coach to the President or the President’s designated responsible person within 24 hours of occurrence. The Administrative Assistant shall keep a supply of insurance claim forms and provide the proper procedure to the injured player’s family for insurance reimbursement. 22) CHANGES TO BY-LAWS: Changes in these By-Laws may be put in effect by an affirmative vote of at least a two-thirds majority of the authorized members of the Board of Trustees. The Secretary shall have the By-Laws modified if changes are so voted and have copies forwarded to all necessary persons and organizations. 23) DISSOLUTION: Should the Club be dissolved, all assets remaining after payment of Club debts, shall be disposed of in a manner consistent with the non-profit, tax-exempt purpose of the Club, as determined by the Board of Trustees. 24) GENDER REFERENCE: Any reference to one gender is not intended to exclude the other gender and specifically is intended to include it. 25) RELATIONSHIP TO RIDGEWOOD SOCCER ASSOCIATION AND OTHER ORGANIZATIONS: The Ridgewood Soccer Association is the organization in Ridgewood which provides the recreational soccer program, while this Club provides the competitive program. Currently, the league participation of the RSA with the Northwest Bergen Soccer Association, which is not affiliated with the NYSYSA and USYSA, requires that the two programs – recreational and competitive – be operated by two distinct organizations. The Club shall cooperate with the RSA to provide a comprehensive soccer program for the youth of Ridgewood as well as to equitably fund equipment, field improvements and the like, which is shared by the two organizations. Participation of players in both organizations is permitted and, at the younger ages, encouraged. In order to maintain identity as a separate organization to avoid certain assessments by NJSYSA or other organizations, it is expected that no Officer of the Club will at the same time be an Officer of the RSA. The Club will maintain its status as a Village Parks and Recreation co-sponsored organization so as to receive the benefit of such status. It shall also maintain its status as a Board of Education Class B (or such category description as includes community organizations including Parks and Recreation co-sponsored sports groups) qualified organization. The Club will continue as a member of the Ridgewood Sports Council or Fields Committee and participate in its activities and committees, including the fields and gyms committees. The Club, together with the RSA, will assist the Ridgewood High School soccer programs and the Village Sponsored soccer camp. The Club, together with the RSA, will work cooperatively with the adult soccer program in the Village. 26) FUND RAISING: No team may conduct fund raising events for its team’s benefit without obtaining prior approval of the Board.